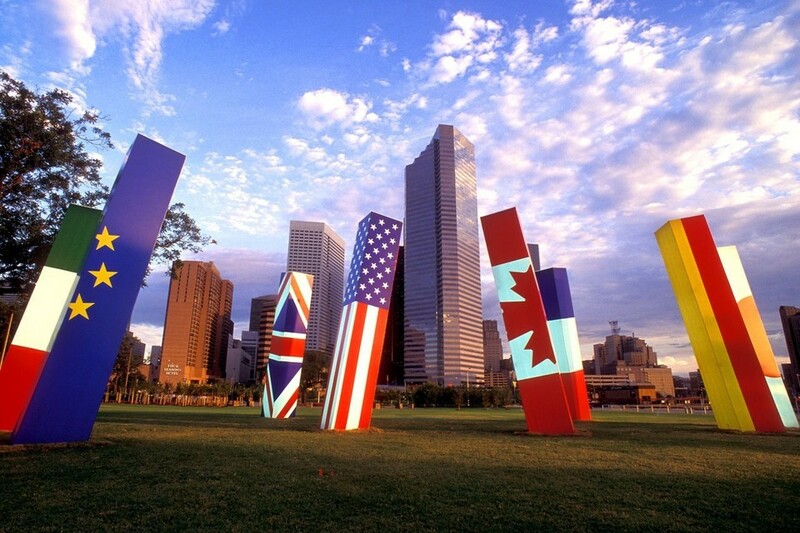 Why Houstonians must create a "Welcoming Houston"
This shift is not temporary. This is our future. We are living in a time of mass disruption and mass migration. From war and weather, to wealth displacement people are being torn from their homes and starting lives in brand new places. This shift is not temporary. This is our future. As leaders in our city unite to keep Houston a welcoming place for immigrants, we stand with them and join the national Reason for Reform campaign. We know that our neighbors possess the strengths and assets and contribute to our communities. The recent report from the Partnership for a New American Economy (PNAE), supports our belief that immigrants make significant contributions– their spending power, and role in key industries as leaders and job creators only strengthen our economy and support why their welcome is not an option – it’s a necessity. In the Houston Region alone, foreign-born residents contributed $116.5 billion to the region’s GDP and held $31.8 billion in spending power in 2014. While the foreign-born population makes up one-quarter of the overall-population, they are 32% of the employed labor force and 42% of the self-employed labor force. Foreign-born residents in Houston are twice as likely to own a business than their U.S.-born counterparts. Cities must become better at welcoming immigrants. Angela says: “The greatest cities of the future are those that can turn desperation into aspiration, and aspiration into participation.” We will provide landing places and on ramps for flows of people because we want to, and we have to. Everyone deserves the chance to earn, learn and belong, and Houston has room for them to find opportunity. BakerRipley’s participation in the Welcoming Houston initiative is made possible in part by a grant from the Carnegie Corporation of New York.